FFA - Florida officials not influenced by CAIR's bullying tactics calling for the FDLE to bar training by counter terrorist expert Sam Kharoba. Florida Family Association congratulates Sam Kharoba for standing his ground to provide training that defends American families for potential terrorism. Florida Family Association applauds the FDLE commission for not giving any more place to CAIR’s groundless accusations. Hassan Shibly, CAIR-Florida Executive Dir. The Criminal Justice Standards and Training Commission declined to take action today regarding the Council on American Islamic Relation’s (CAIR) effort, led by Hassan Shibly, to stop the FDLE from using counter terrorist training expert, Sam Kharoba. A discredited complaint filed by CAIR with the FDLE was referred to the Criminal Justice Standards and Training Commission. CAIR’s Hassan Shibly presented his complaint at the Criminal Justice Standards and Training Commission’s November 1, 2012 meeting. The commission gave Sam Kharoba, founder of the Counter Terrorism Operations Center – CTOC, time to respond. The Criminal Justice Standards and Training Commission agenda summarized their position at the end of the agenda item as follows: The CAIR complaint was provided to the Florida Criminal Justice Training Center Director’s Association and Director Pritt discussed the issue with the membership. The Association has not expressed a need to amend or enhance any of the current training offerings or to address the use of Mr. Kharoba as an instructor, as this is at the discretion of individual agencies and training centers based on vetting requirements previously articulated. If the Commission feels we need to re-address instructor standards or vetting, or to develop additional goals and objectives addressing counterterrorism and domestic security, we are prepared to support the direction of the Commission. RECOMMENDATION(S): This agenda item does not require Commission action. Florida Family Association congratulates Sam Kharoba for standing his ground to provide training that defends American families from potential terrorism. Florida Family Association applauds the FDLE commission for not giving any more place to CAIR’s groundless accusations. 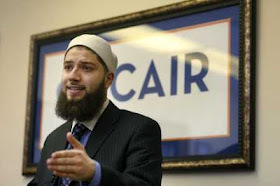 Florida Family Association reported on July 16, 2012 that “Islamists (CAIR) demand that anti-terrorist expert be barred from training law enforcement officers” and July 25, 2012 that “Islamic jihad apologist propagates more lies in demand that counter terrorist expert be barred from training law enforcement officers. Please send your email to officials.” The Council on American Islamic Relations wrote a letter calling on the Florida Department on Law Enforcement and other officials to stop allowing terrorist expert Sam Kharoba from training their officers. The FBI has a policy of not communicating with CAIR in part due to the organization’s ties to and apologetics for terrorists. Why would the FDLE give CAIR anymore credibility than that which is being withheld by the top law enforcement agency in the country?